At any time of year there are few prettier places in the UK than the New Forest – but for boat owners there’s a special reason to head south on Sunday, April 29 because that’s when the country’s biggest boat jumble takes place at Beaulieu. It’s no secret that this event has become an annual pilgrimage for my wife, Julie, my brother, Alan and myself as we hunt for bits and pieces for our old Seamaster cabin cruiser, Terra Nova. It’s a must for anyone with a boat to wander around the fields behind Lord Montagu’s little country pad browsing through the boating bric-a-brac on hundreds of stands. 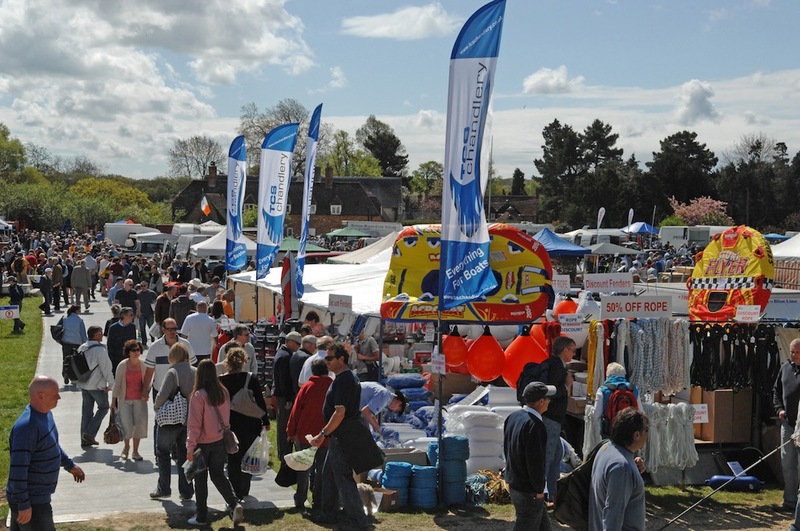 Last year, more than 9,000 visitors enjoyed the spring sunshine looking at nearly 800 stands (and more than 100 folk selling boating bits from their car boots). The show also includes Boat Mall – where manufacturers put their dinghies and trailerable boats on display and Boat Mart featuring a selection of used craft of all shapes and sizes. This year is the 35th anniversary of the show and I wondered where the original idea to mount a boat jumble came from. There’s a great story behind it, which Beaulieu public relations officer Margaret Rowles, shared with me. “The idea for the first jumble came from keen yachtsman, Don Smith, originally from the Isle of Wight, who worked and lived in Beaulieu,” she said. Apparently, it occurred to Don that there must be other people like him who wanted to buy and sell boating bits, so he approached Lord Montagu who, as the Beaulieu estate already hosted a well-established motoring jumble event, could immediately see the benefits. Don helped to organise the early boat jumbles with the first one taking place on April 16, 1978. Despite hardly any advertising that first year, the show attracted 6,000 visitors to the 270 jumble stalls. (The price of a stall started at £5). The admission charge was £1.50 for adults and 50p for children. In the end, around £100,000 worth of goods changed hands and £750 was also raised for the RNLI. The event now attracts visitors from all over the UK and much of Europe such has its reputation grown. Admission these days costs £8.35 for adults and £6.25 for children under 16 in advance or £9.50 and £7.30 respectively on the day. Bear in mind the price includes admission to the National Motor Museum and grounds. For more information, visit the website at www.beaulieu.co.uk/beaulieu-events/boatjumble.